The Camera Shop is one of the few photo labs still offering traditional black & white processing services. Our expert lab technicians process all brands of black and white film including Kodak T-MAX, Kodak Tri-X, Kodak Plus-X, and Ilford. We offer push-processing, so you can obtain a higher effective film speed. 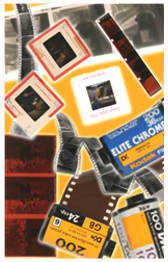 We also develop chromogenic (process C-41) black and white films. Our standard black and white service includes 4x6 prints on Kodak Endura Professional Luster finish paper. Glossy and matte paper finishes are available, as are alternate print sizes: 3½x5 or 5x7. We also offer “develop only” service for black and white film. Your negatives are processed and sleeved in 4-frame strips, or rolled uncut in a long sleeve. Contact Sheets are also available from your 35mm rolls of film. Our standard black and white service includes 4x6 prints on Kodak Endura Professional Luster finish paper. Glossy and Matte paper finishes are available upon request. Print sizes range from 2½x3½ Wallets up to 12x18. Quantity pricing is available, so the more you order, the lower the cost per print. Custom printing services are available for larger prints, prints from larger negatives or images that require specialized adjustment. Custom enlargements are available in wallet-size to 20x24 inches. Mounting an enlargement is a professional way to display your photos. Enlargements can be mounted on 3/16” gator-board (black core) or 1/8” matboard. Quantity pricing is available when ordering multiple prints from the same negative. Since photography options have expanded, we offer services that help you make the bridge from film to digital. Along with processing your film, we can scan your negatives onto a CD so that you can download your pictures onto a computer to share with friends and family, use in publications, or make prints from the digital files. Choose “Reprint Quality Scans” (1500 x 1000 pixels) or “Enlargement Quality Scans” (3000 x 2000 pixels). With a CD, you can easily reprint your pictures or enlarge them to a different size on our in-store kiosks. Or you can order photos from your home computer using our Online Photo Lab. If you want to add an old-fashioned look to your photos, request sepia-toned prints. You may either have your black and white 35mm film developed as a sepia tone roll, or you can make reprints and enlargements of specific negatives. This service is also available from color negatives and digital files.